Taste the Godiva chocolate difference with assorted chocolates in flavors like Dark Caramel Embrace, Mochaccino Mousse Dessert Chocolate and Dark Ganache Bliss. Fine chocolates ranging from 50% dark chocolate to 83%, filled with ganaches, creams and caramels; the perfect dark chocolate gift. 27-piece (10.6 oz.) box of dark assorted chocolates including Godiva dark chocolate favorites. Dark, bittersweet chocolate sauce that is exceptionally rich and spoonable. Dark Chocolate Sauce from Matthews 1812 House goes perfectly over cakes, brownies and is a delicious topping for ice cream! Whatever you choose to serve it with, you will love it. 9 oz jar. Green & Black uses 85% cocoa solids for an intense hit of cocoa. But it’s balanced with just enough sugar to separate the bitterness and the acidity, resulting in an almost savory note. The organic vanilla naturally seasons the chocolate and softens its bitterness. These almond delicacies are one of Mathews 1812 House’s best sellers! Dark bittersweet chocolate covers these unique gourmet treats. 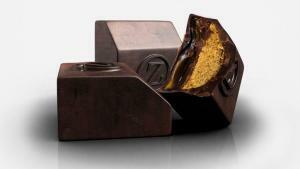 The intense marzipan taste is perfectly complemented by the superb chocolate! 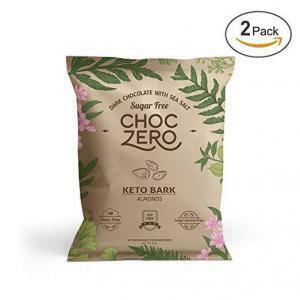 If you’re following a Keto diet, you can still enjoy dark chocolate! Creamy, ​stone-ground dark chocolate and roasted almonds ​make for a perfect marriage of flavors for ChocZero’s artisanal dark chocolate almond bark​ flavor!. It’s low in net carbs and contains no sugar alcohols. Full-bodied dark chocolate balances a blend of serenely earthy undertones. This Deep Dark Chocolate bar is part of Dylan’s Candy Bar Gold Collection, a new assortment of luxuriously delicious, high-end Belgian chocolates crafted from only the finest ingredients. Coated in dark chocolate, the fudge-like fillings include: semi-sweet chocolate, semi-sweet chocolate with walnuts, semi-sweet chocolate with peanut butter, dark chocolate with walnuts, dark chocolate with French grey sea salt, white chocolate vanilla with walnuts, chocolate and caramel with Hawaiian sea salt. From Matthews 1812 House. Lindt Lindor offers a deeply indulgent premium chocolate experience. A delicate dark chocolate shell enrobes an irresistibly smooth dark chocolate center. An international favorite. Their most popular chocolate; intense 70% Venezuelan dark chocolate couverture encasing a duo of a lush caramel and crunchy praliné: the caramel is sweet and salty with Bourbon-Vanilla from Madagascar, the praliné is composed from slow-roasted Piedmont hazelnuts. Create a personalized assortment. Delight your senses with the finest dark chocolate covering an array of unique and gourmet fillings. 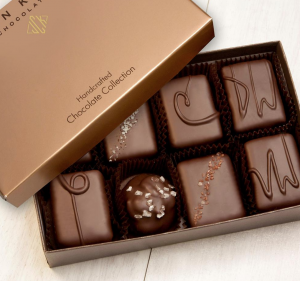 This collection offers you a variety of their best pieces, blended beautifully with our world-famous dark chocolate. Sample from chewy and creamy caramels, almond nut clusters, Almond Butter Krisps and velvety Satin Cremes. A 1 lb box of assorted dark chocolates. A taste of rich, flavorful cacao in every bite. Filled with our greatest hits, including Maple Walnut, Peanut Square, Pineapple Truffle, Dark Buttercream and more. Each coated by a waterfall of See’s aged dark chocolate. Perfect for the equestrian chocolate lover. A delightful assortment including: Dressage Classics (rich dark chocolate covering almond buttercrunch toffee), Peppermint Ponies (rich dark chocolate and the fresh taste of peppermint crunch), and Grand Prix Jumpers (dark chocolate covering creamy butter-caramel). What else can we say about Savannah Candy Kitchen’s Southern Gopher that hasn’t already been said by adoring fans? Crunchy? Well, sure, because of the fresh Georgia Pecans. Creamy? That would be their handmade caramel layer in every delicious bite. Chocolate-y? Of course! Experience intense, complex and perfectly dark chocolate with full-bodied flavor, accompanied by hints of dark cherries and dried plums.